when it enters the body , it turns alkaline.. i bet your elementary level didn't tell you that. The guy that set up the GoFundMe is a well known youtube e-beggar from Kamala in Phuket. He had previously set up a GoFundMe to "help" a Thai girl with congenital ptosis but there were questions on the accountability of the funds raised. 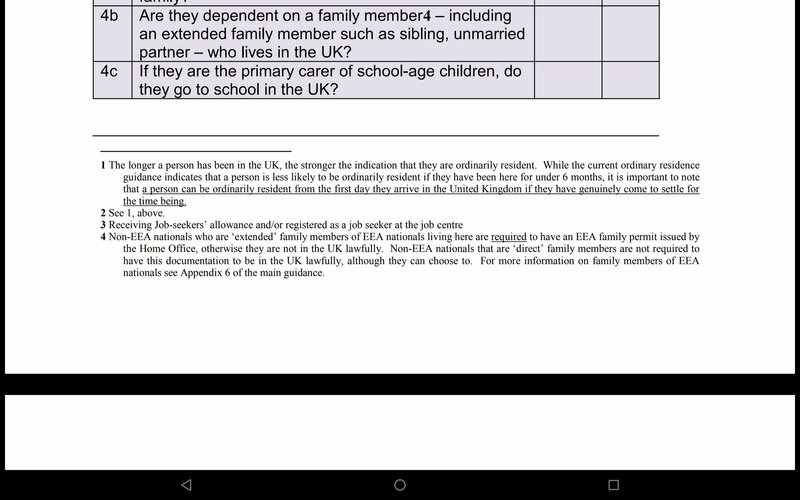 I have found this information from the goverment website, it would appear what you are saying is not entirely correct.N Health care is based on you being an ordinary resident, and you can be classed as an ordinary resident from day one of your arrival back to the UK, just as long you can convince them that you are back to stay. Please let me know what you think as I think it is a handy bit of info to know. That's pretty clear, so if you have a serious condition, head back to the UK and state you are back forever! Job done! Free NHS healthcare! I would guess even easier if you have a property there as well. Get bills and council tax in your name etc. He will have been out of the country too long to get NHS treatment. They aren't fools, "who is your family doctor", "who referred you to us", ''what's your address". I have known two guys who have gone down that path, you end up paying double the normal cost of NHS treatment. Most doctors simply don't ask and don't care, I'm still on my old doctors list after 10 years of living in other places. Absoutely correct. It is waht I would do if I was as unfortunate as he is. A no brainer really. The first thing I did when I retired and arrived here in Thailand back in 2003 at age 57 was to immediately take out health insurance cover with the then BUPA Blue Cross, (Now Aetna) who guaranteed to cover me for life by taking out my policy before I was 60. Absolutley stupid not to do that for anyone intending to retire and live here. Even so my cover would not fund all that is required for something like chemotherapy or heart surgery, as I only get cover for say the first 500K Baht or 1 Million baht depending on your level of insurance cover (and mine costs me over 70K Baht a year which is as much as I can afford) . So something major like serious cancer then I would have to return to the UK where I worked and paid my NHS stamp all my life and indeed still pay UK income tax on my pension. I would only consider donating to such a Go Fund Me appeal if the recipient was really broke and could not afford the air fair back to the UK and also had no family or friends that could help support him. I have little spare cash for such expensive airfare but would first ask for help from my family and friends if I really needed my airfare covered, and then would probably stay with family over in the UK whilst having treatment (and pay them for my keep too of course). I wish this guy all the very best and hope he gets on to the road to recovery promptly and as painlessly as possible. None of us are invincible and all subject to getting these diseases especially as we get into our final years. Enjoy your life whilst you can is the best advice anyone can give you and hope that is for many many years yet to come. You can help that by avoiding known life shorteners like smoking tobacco and excessive alcohol drinking. If you must smoke use e-cigarettes but they are stupidly illegal here and I believe the only country in the World that has such a stupid law. Fortunately I gave up all smoking 36 years ago and now drink very little, so do not need e-cigarettes. Despite the stupid law here, e-cigarettes are as we all know, and by the scientific evidence too, far far safer than tobacco. However, as guests here we do need to obey the laws of our hosts of course, even silly ones such as this, as that is of course essential. We should and can though help fight to try and get this astonishingly silly misguided law changed ASAP, but I leave that to all those adversely affected by it. There is no such thing as “...free treatment” I really don’t understand why some people think that “free” medical care exists. There is no such thing. head back to the UK and state you are back forever! Job done! Free NHS healthcare! Or go back and they won't ask, and if they do ask say you never left. Talk about restoring a fave popularity gig , ive got piles ! but who gives a twig. That would indeed be the best course of action. Not like he is unable to fly. And with this diagnosis NHS is nto going to refuse him care. I am no medical expert, but cancer is usually slow would a week or two weeks make a lot difference ? No but they will bill him for it, you have to be a permanent resident in the UK for free treatment........or a refugee. My cats pregnant and my dog left home. Dirty dog, leaving the cat pregnant, was he a Thai dog?